Turn DWG to SWF video files online in a few clicks! Run a DWG to SWF Online Converter or buy a batch App for faster work! Description DWG is a Windows-based binary file format created by AutoDesk. 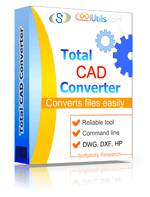 It stores 2D and 3D design data created in CAD-package programs (AutoCAD, IntelliCAD, etc.) DWG files comprise vector image elements and metadata. The format is native to the CAD package, although there are non-native CAD applications, by aid of which you can open a DWG file. Since its introduction in 2000, several variations of the DWG format have been developed, and not all of them can be opened using a non-native application.